An exclusive nickel plated basin tap with an impressive waterfall spout. Each waterfall tap is 500mm wide and is operated remotely via single or double tap controls which can be deck or wall mounted. 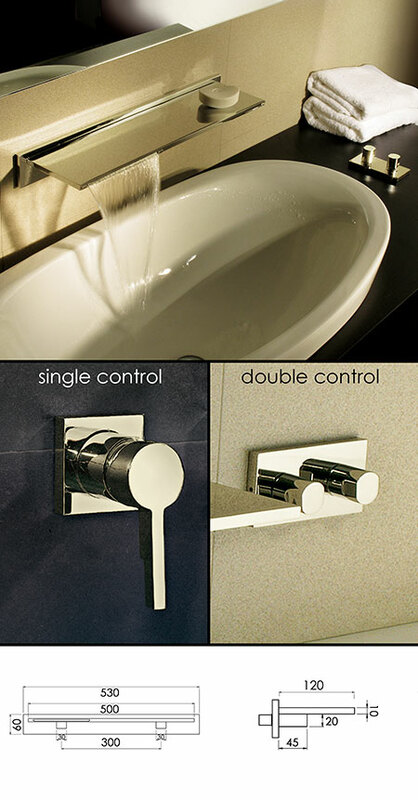 * Brushed or polished nickel tap options. * Single or double controls.